Αν αυτό που ψάχνετε είναι ένα ξενοδοχείο σε καλή θέση στη Chiang Mai, μην ψάχνετε πέρα από το Yin Yang Guesthouse. Σε απόσταση μόνο 0 km από το κέντρο της πόλης, οι επισκέπτες βρίσκονται στην κατάλληλη θέση για να απολαύσουν τα αξιοθέατα και τις δραστηριότητες. Με την βολική του τοποθεσία, το ξενοδοχείο προσφέρει εύκολη πρόσβαση στους προορισμούς της πόλης που πρέπει οπωσδήποτε να δείτε. Στο Yin Yang Guesthouse, πραγματοποιείται κάθε προσπάθεια για να αισθανθούν άνετα οι επισκέπτες. Για να το πετύχει αυτό, το ξενοδοχείο προσφέρει τις καλύτερες υπηρεσίες και ανέσεις. Κορυφαία χαρακτηριστικά του ξενοδοχείου συμπεριλαμβάνουν τα δωρεάν WiFi σε όλα τα δωμάτια, ημερήσιος καθαρισμός, φύλαξη αποσκευών, ασύρματη σύνδεση Wi-Fi σε δημόσιους χώρους, οικογενειακό δωμάτιο. Τα δωμάτια του ξενοδοχείου έχουν διαμορφωθεί προσεκτικά ώστε να παρέχουν υψηλό επίπεδο άνεσης και την ευκολίας. Σε κάποια από τα δωμάτια, οι επισκέπτες μπορούν να βρουν πετσέτες, προϊόντα καθαρισμού, κρεμάστρα ρούχων, επίπεδη τηλεόραση, καναπές. Εξάλλου, το ξενοδοχείο διοργανώνει πολλά ψυχαγωγικά δρώμενα έτσι ώστε να έχετε πολλά πράγματα να κάνετε κατά τη διαμονή σας. Το Yin Yang Guesthouse είναι μια έξυπνη επιλογή για τους ταξιδιώτες στη Chiang Mai προσφέροντας κάθε φορά μια ήρεμη και ήσυχη διαμονή. This facility will work for the buget minded traveller. The room was clean but the bed sheets were in need of replacement. I was assigned a room on the ground floor so traffic & security was a concern (no problems arose during my stay). The balcony faced a concrete wall so the view and fresh air was '0'. 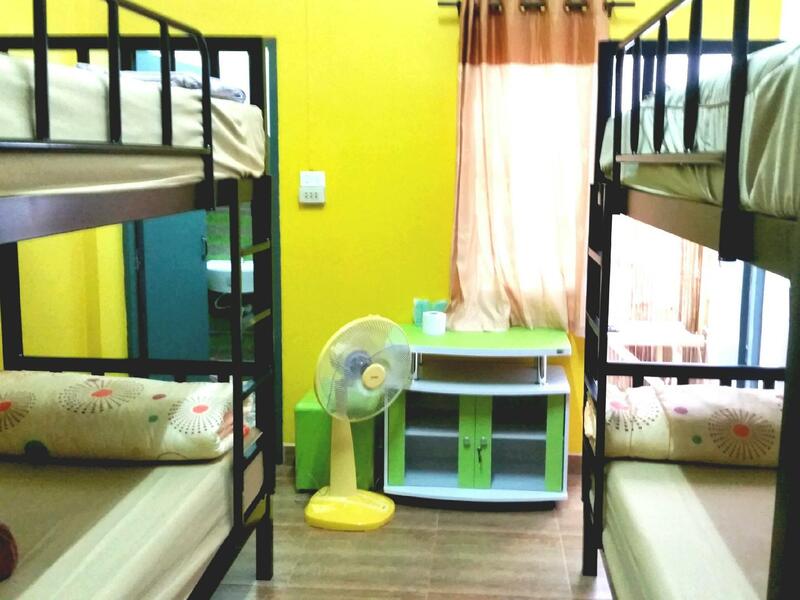 Decent room with good wi-fi. The location is near main road, easilry to grab red cars. Quite near Sunday market, within waljing distance, while Saturday market is a little bit far, 5 mins by red car. Just on the border of the big square (the touristic town center) and 10 minutes walk from the night bazar, that's a perfect location to see everything you want in Chiang Mai! The staff is absolutely nicer than nice, and the owner Max is a very very kind and available guy, always here to chit-chat with you... The rooms are what you can expect for this price: clean bed, clean shower, clean towels, the only thing we missed was a bottle of cold water (Max if you read this, think about it ;-) ). What else? You can book lots of activities and minivans for Pai from the office, and rent bikes and motorbikes just a few meters from the guesthouse. I won't say I would stay there again, 'cauz I just did! a bit noisy at night from other guests.. recommend this place anyway. We liked the location but there were 2 negative points (that were relevant enough for us to finally move to another hotel). 1. The walls are as though they are made of paper and we could hear every noise behind it, as well as they probably could hear us. Someone walking by was heard as though they were in our room. 2. The bed was really uncomfortable, hard and the springs were noticeable, one could barely sleep on it. Otherwise nice location and nice personnel. The towels did not seem to be changed in the time I was there. 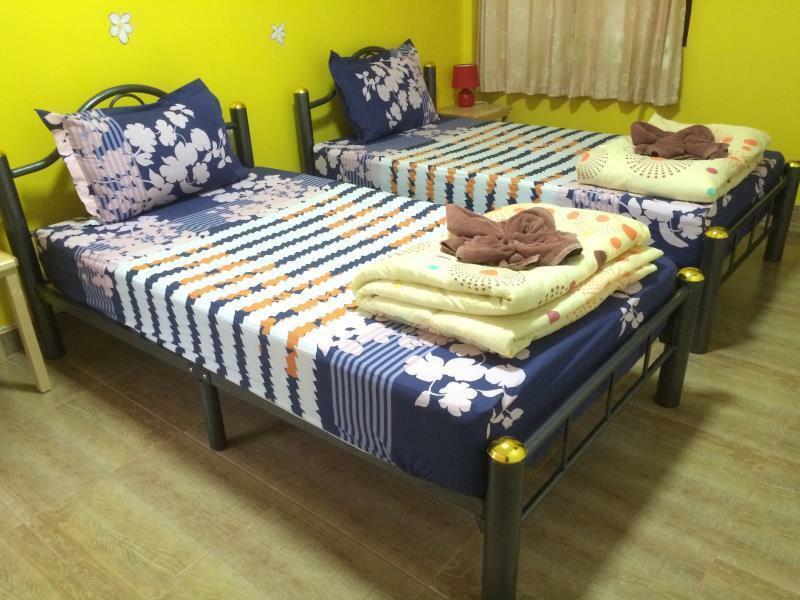 Pros: The room is very clean and cozy; friendly owner and staff who speaks good English and would introduce places of attraction and good food in old city of Chiang Mai. The location is strategic for walking tour in old city. Cons: May improve on sound insulation as you may heard people talking or even quarrelling in late night Additional info: No breakfast but a 15% discount voucher to dine at Ugo restaurant nearby. You may also book your day tour in Chiang Mai at the counter. 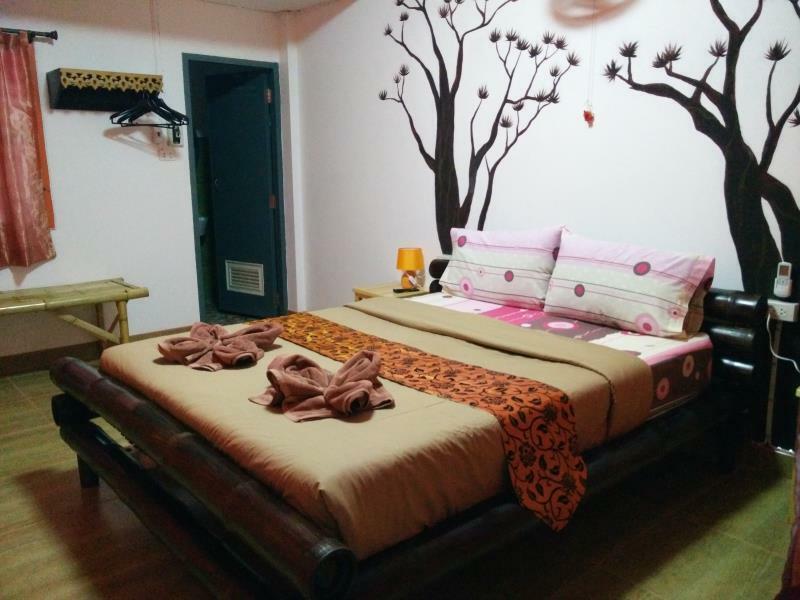 Quite a pleasant stay overall and would recommend this guesthouse to friends or revisit. Clean, nicely decorated rooms. Would not hesitate to stay here again. I felt like home. The attention has been great. The staff is always trying to help you and give you advice regarding things to do in and around the city and they have a lot of information about the activities to do there. The room was very cozy and very well located. Close to everything you need and also quiet. The only downside was that the wifi didn't work propely but it isn't a big problem if you already have the sim card from Thai to have the Internet, that so it costs cheap and it's worthy. Nothing fancy, but clean, nice staff and walking distance to pretty much everything. Only cons are that the windows are slatted glass that you crank shut, so it's not super quiet and you can hear what's going on outside pretty well. Also, the light outside is very bright and the curtains don't help, so we just shut the outside light out later at night. Good AC. Clean. Just really noisy as there's a bar across the street. 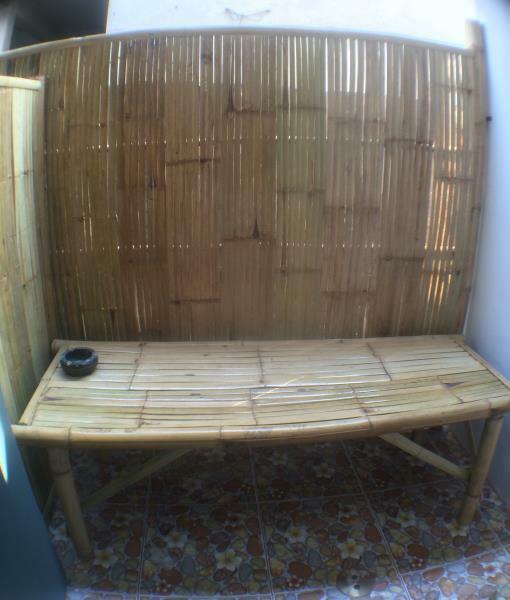 The bed was also a bamboo frame and was the noisiest bed I've ever slept in. Matress was really hard. Very good value accommodation for our family of 4. Everything very cleaner and one of the better showers we've had. Great location with restaurants, bars etc nearby but very little noise at night Very friendly and cheerful staff. Would definitely recommend. Very few times I've felt so welcome. From the owner to the staff, everybody at this hotel is always willing to help you or simply listen to you with a smile. 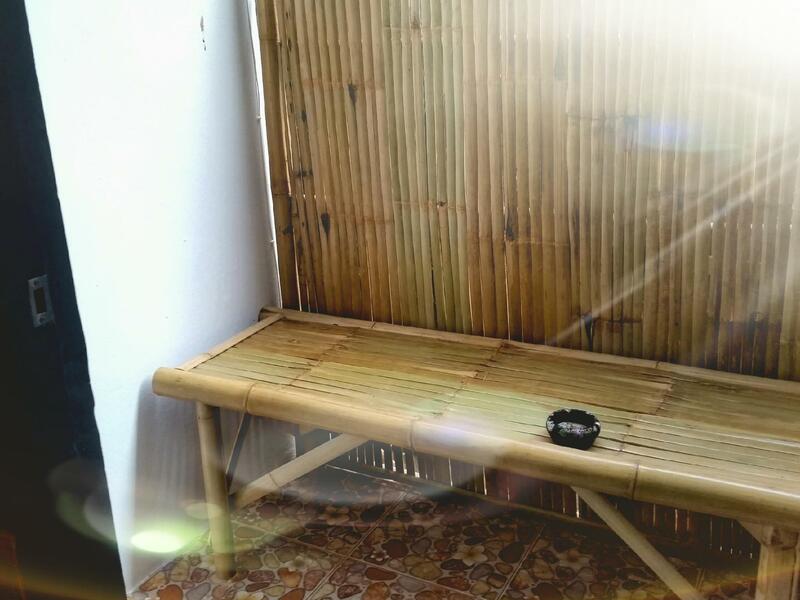 Location is excellent, a few minutes walking from the principal spots of the city and all you need around the corner (restaurants, supermarkets, laundry, etc.) 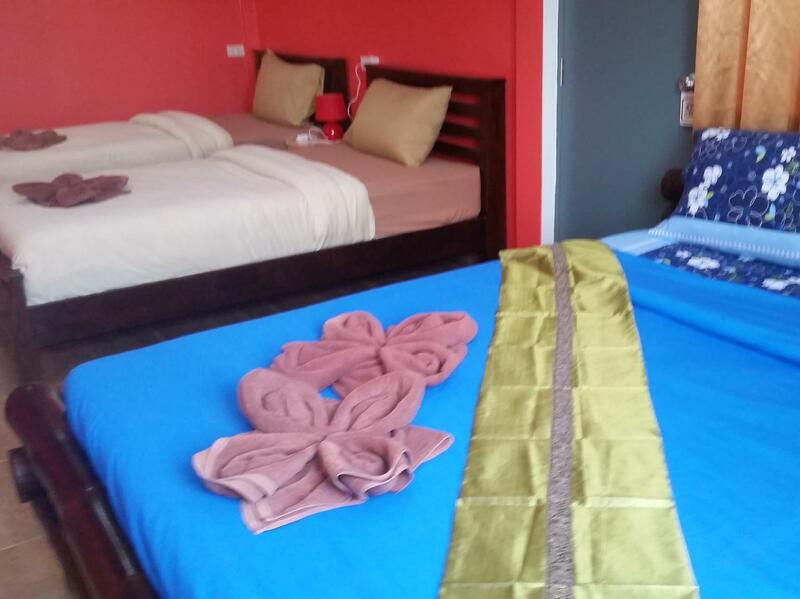 Rooms are very cozy, tastefully decorated and super clean! I must say that is the first time I completely forget to ask the wifi password when I arrive to an hotel. I was so entertained with all the useful information about the city and the nice conversation that Matt provided to me that Internet wasn't a priority anymore. 100% recommended, I'll definitely will be back again! We had a very good time here. The owner is very kind and helpful (also french speaking). He and his brother? cousin? are owning some more guests houses and bars. As we wanted to stay longer, the hotel was fully booked for the weekend - but no problem, a few meters away we got a stay in his next house ^^ It´s clean, good beds and well working AC. Beware of the fishes! They are well trained! extrem nettes personal, sehr großes sauberes Zimmer in idealer lage. wände sind etwas hellhörig was bei kleinen kindern im nachbarzimmer etwas unangenehm werden kann. ansonsten aber sehr zu empfehlen!